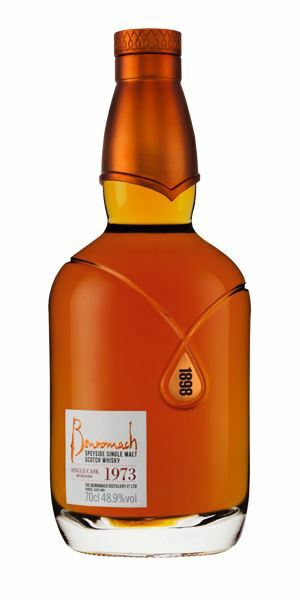 Dave Broom has high praise for Benromach 1973, which boldly begins this week’s new whisky tasting notes. Complex, elegant and three-dimensional, this is a whisky that draws an element of nostalgia in Broom of whiskies gone before. Next is a 1990 Bladnoch bottled by Wemyss Malts which, apart from being a ‘touch woody’, is a truly solid dram. Two more Wemyss Malts bottlings are up next, both from Bunnahabhain, one distilled in 1990 and another in 2001. The first, Haven Trail, is a ‘pleasing’, fruity example of the distillery – worlds apart from its Sherried, chocolatey sister, Hickory Molasses Glaze. 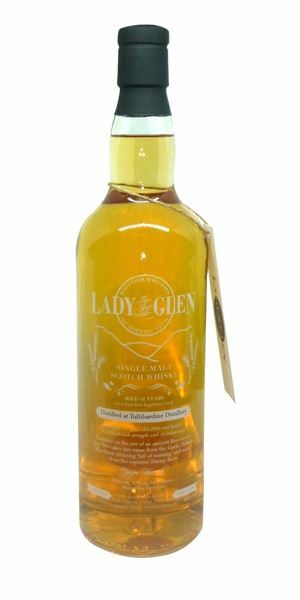 Two Lady of the Glen expressions complete the set, featuring a 10-year-old Tullibardine aged in Bourbon casks, that’s best enjoyed with an old-fashioned sing-along. And, again, a polar opposite in flavours from the same distillery, this time aged in Sherry casks, bringing us to a ‘funky’ finish. A classically complex, mature nose of cooked fruits: apple, quince, poached pear alongside plenty of wax, light rancio and some wood smoke. 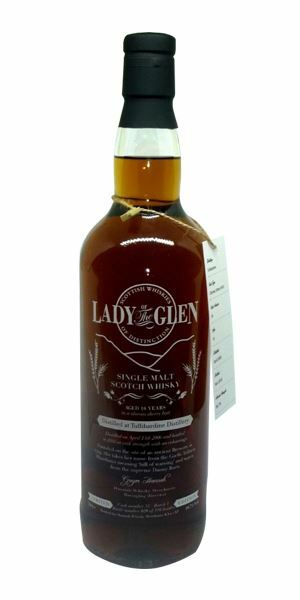 Thick, old-fashioned and heady, there’s some ripened barley, dried raspberry, light tobacco. A judicious amount of water brings out cedar and dried soft fruits. Elegant. 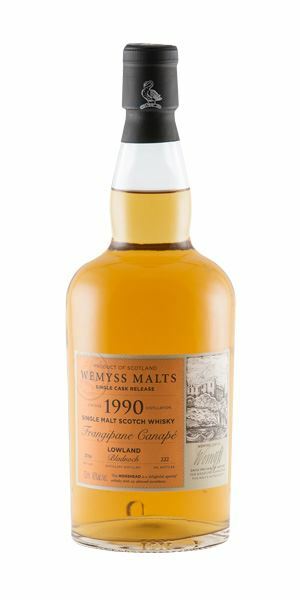 Lightly dry and a little nutty to start with, this, like so many Gordon & MacPhail oldies, has retained real energy with citrus added to the quince and beechwood elements, while the coal-like smoke helps to add another dimension. Water just brings out a slightly brittle edge, so leave alongside. One of those ‘they don’t make ’em like that any more’ kind of drams (though I’m sure they do… somewhere). A real find and highly recommended. A retired Colonel sucking sherbet lemon through a liquorice straw. Very Bladnoch in its woozy, drowsy florals: jasmine and honeysuckle, as well as a little oak and some nose burn before brioche and honey. Has lovely complexity and is well-balanced. Water brings out a touch of cow gum and, while the top notes are lost, there is a gain in more obvious maturity. Take your choice. Slightly spiky, suggesting it needs a little calming down. There’s some barley sugar, yuzu and almond. Drier than the nose initially, but the light fragrance begins to return in time. Water balances the oak, allowing some fruits to develop alongside. Maybe a touch woody, but that’s being a little picky. Lovely. One of those older Bunnahabhains where a funky element is added to the fruit, here bringing a touch of hike-moistened socks to the iced gingerbread and chalkiness. After this quite bold opening, it begins to dry and recede, becoming slightly stony, with wet slate/rockface, and dry heather. Water brings out lemon and apple shrub, and light oak. Peppery and quite intense to start, but softens on the mid-palate, allowing those fruits to come through. It does, however, need water, which brings out firm wood and Demerara sugar. A slightly muted but still pleasing Bunna’. Pausing at the foot of the rock, he takes his boots off. A passing stoat collapses. This behaves in the opposite way to its sister, starting softer and slightly shyer with little hints of smoke drifting in. This closed element then gives way to roast ham, gentle dark toffee, nuts and old palo cortado Sherry. Once this process starts, the aromas just keep on coming: exotic woods, then rummy elements, ginger and mustard seed, always driven by the distillery’s sweet heart. The cask begins to show its hand more assertively. Like the nose, it needs time to fill out and, when it does, you have a multitude of roasting spices, jaggery and ginger, again with most flavour concentrated on the centre and fading towards the back. Keep it neat with water on the side. A sudden burst of chocolate. It really pays to give this time to breathe and build in complexity. Happily lost in an Indian market. Gentle vanilla ice cream, then banana, white chocolate and glacé cherry, and lemongrass. Delicate and, despite the high alcohol, there’s only low-no heat. Water brings forward some very lightly charred smokiness, cold unsalted butter and, increasingly, pick ‘n’ mix. All rather delightful. Light and oddly soapy on the tongue, with a lifted, perfumed element. Water reduces it and the sweetie counter comes forward, but it’s still the dominant element. Lovely nose, but a slightly odd palate. Dry, with positive Sherried elements. Touches of walnut and fig, and a growing funked-up element with a little dried flower. In time, becomes more fragrant with some dark chocolate, a pleasant earthiness and a little nuttiness. Lovely. A big turmeric hit along with light grip, and a fair amount of heat. There’s a whiff of lavender, but that’s balanced by the lightly oxidised fruitiness seen on the nose. Dry, floral elements poke through. This is a great chance to try two whiskies from the same distillery of the same age but from two different cask types. Very sound and, while cask-driven, it’s balanced with a rather deliciously odd funkiness. For Sherry drinkers as well as whisky lovers. Lost in deep bracken with hot, steamy earth underfoot. 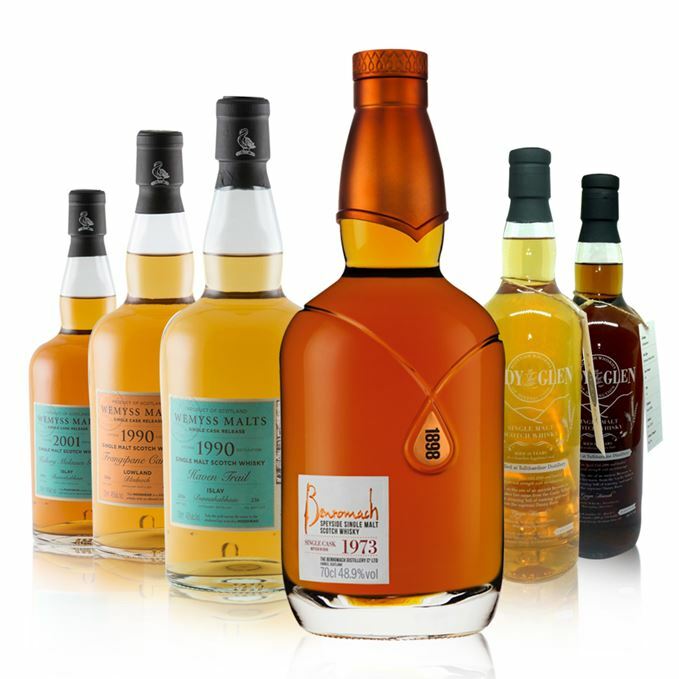 Batch 76 23/12/2016 Bowmore, Glenmorangie, Hazelburn and a ‘troika’ of Bruichladdich conclude 2016’s new whisky notes. Batch 74 09/12/2016 This week’s flavour theme is ‘big’, featuring BenRiach, Glenfarclas, Tamdhu and Timorous Beastie.